I know, I know. You haven’t heard of any of these people. Where’s Superman? Where’s Green Lantern? Where’s Ambush Bug? Don’t blame me, blame whomever invented the alphabet. So I guess Al Gore. I’ve always known that I gravitate towards lesser known characters, but doing this cull has confirmed it. For example, I have exactly one trade featuring the Flash, but I have 7 trades featuring the Question. And I wonder why no no one wants to borrow my comics. The question here is why? Why do I prefer characters like Checkmate or the Question to characters like Superman or Hawkman? I’m pretty sure the answer is flexibility. If you have a character that doesn’t have millions of dollars in licenseing fees attached to it, or isn’t the hero to millions of kids, you can do more with that character. For example, you can show Kate Spencer’s Manhunter smoke cigarettes, be divorced and kill people, but still can’t show Wonder Woman kissing a boy. Or a girl. Unfortunately. 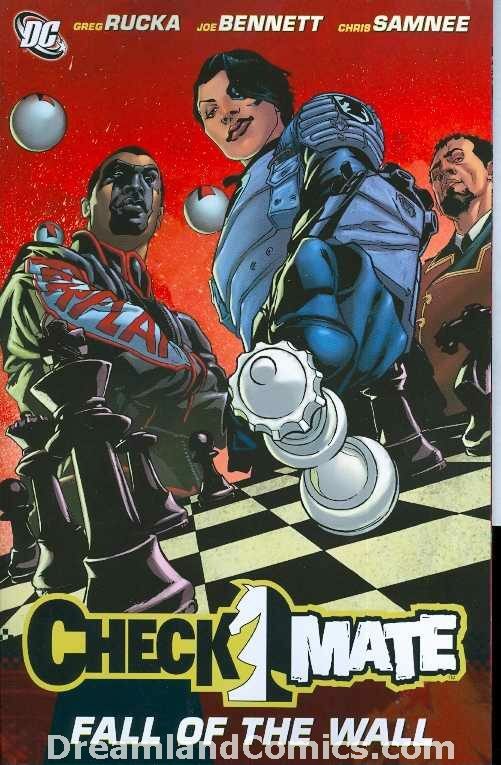 Checkmate was created as DC’s answer to SHIELD in the late 80’s, essentially a spy agency dealing specifically with superhuman problems. It never really caught on, and was used sporadically until the 2000’s, when DC started to use it heavily as part of it’s Infinite Crisis storyline. Greg Rucka, the writer of the best spy comic ever in Queen & Country, took up the reigns, and gave us a short lived, but unique and interesting take on the superhero spy genre. I really like this book, and I’m definitely keeping it. But sometimes it tries too hard to shoehorn well known DC characters into it’s storyline, and you suspect that maybe Rucka would have been better served by removing it from DC continuity even more than he already did. Connor Hawke – Dragon’s Blood. 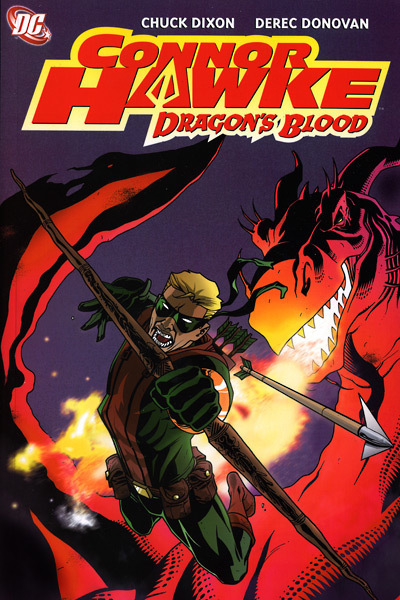 This was a mini series that Chuck Dixon wrote a few years ago starring Green Arrow’s son, and unfortunately like a lot of Chuck Dixon’s stuff I forgot what it was about 5 minutes after I read it. Not a bad story, but Connor isn’t anywhere near as interesting a character as his father, and can’t really hold his own book as a lead. One of my all time DC favourite characters, with pencils by one of my all time favourite DC artists. Life is good. Deadman was created by Arnold Drake and Carmine Infantino for the Strange Adventure comic, but his strip was taken over soon after by Jack Miller and Neal Adams, and it’s Adam’s run on Strange Adventures that is still remembered today, and it’s what is collected here, in addition to some odds and ends by other writers and artists. The character is still used by DC regularly, but it’s never quite gotten back to the brilliance of the original Adams stories. The premise is this: A trapeze artist becomes a sentient ghost after being killed during a performance. He’s given the opportunity to move on to Heaven, but only if he finds his killer. It’s like The Fugitive, but with more ghosts and less Tommy Lee Jones. He has the ability to temporarily posses living humans, and uses them as he tries to find his killer. I love this book. I love it because the motivation for the character is so easily defined and explained. 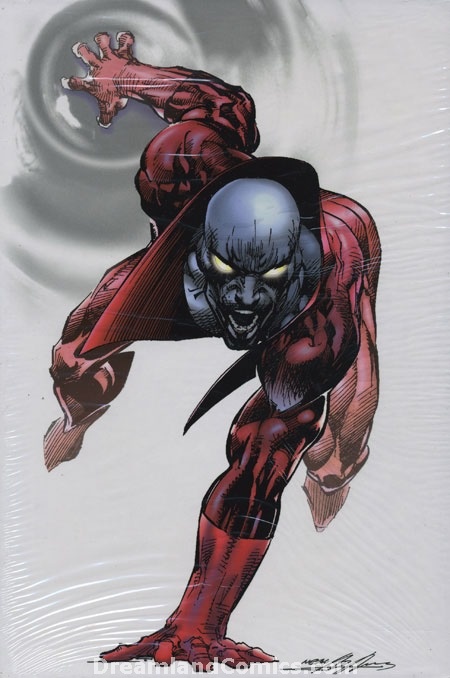 In fact, I’ve always thought Deadman would make a great episodic TV show for those reasons. 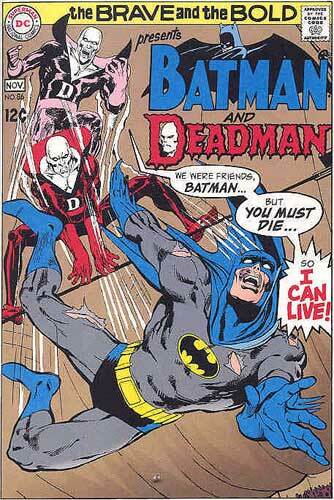 The stories are tight, and self-contained, but usually have to do with Deadman trying to find the man who killed him. The art here defies description. Neal Adam’s Deadman is both terrifying and heartbreaking, and his art work here is a high mark of the bronze age of comics. Next up: Doctor 13, Flash, and maybe even some Green Arrow! This entry was posted in Comic Books and tagged Checkmate, Comics, Connor Hawke, DC, Deadman, Flash, Green Arrow, Greg Rucka, Neal Adama, Question. Bookmark the permalink.